Wood with double cedar shingle roof, stained. 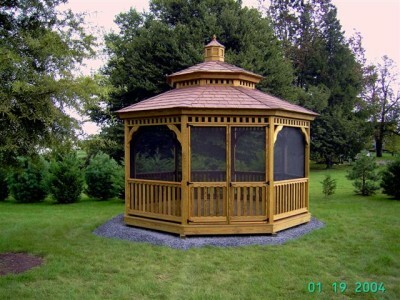 Wood with double cedar shingle roof, screen kit, stained. 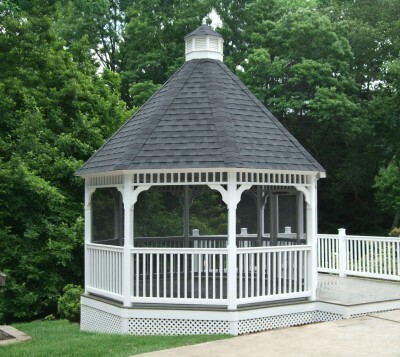 Vinyl with single asphalt shingled roof, Victorian braces and composite floor. Vinyl with steep single roof and composite flooring.